All-Type Welding and Fabrication, Inc. has provided comprehensive precision metal fabrication services since 1987. We’re proud that all of our highly trained experts started their careers as skilled welders. It sets us apart. 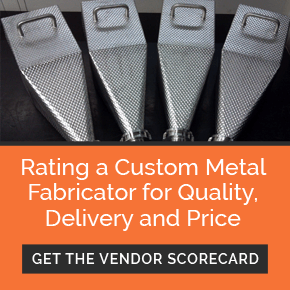 And it’s why our team can now meet the most stringent requirements for mission-critical components using the latest equipment—all great metal fabrication hinges upon professional-quality welding. Customers choose ATWF for our commitment to quality, customer service and our ability to work with a wide range of metals and our fast turnarounds. We have the patience and experience to understand even the most complex projects. We sweat the details and follow a process to deeply understand all aspects of any job. Our customers who are original equipment manufacturers (OEMs) demand the highest standards, and we’re proud to meet and exceed them. ATWF specializes in precision metal fabrication where tolerances are tight, high quality is a must and aesthetics are important. We don’t just cut, punch and bend. We solve problems. Our expert engineers will work with you during the design phase of projects to ensure your final product is flawless and done quickly. All-Type Welding and Fabrication can work fast because everything is done in our 34,000-square-foot facility in Glenwillow, Ohio, a suburb of Cleveland. The facility houses our staff and the very latest laser cutting, fabricating, machining and finishing equipment. We’re fully equipped to become your long-term, full-service partner in precise metal fabrication. Working on a Design, Metal Fabrication or Welding Project? Put your trust in the experienced team at All-Type Welding and Fabrication.